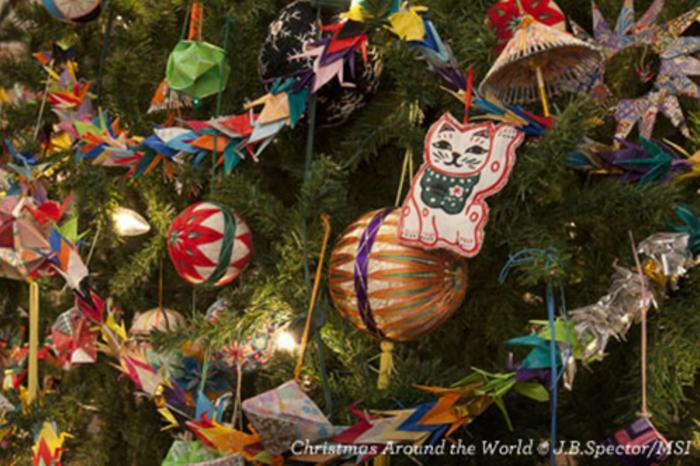 20 Chicago Events That Say "It&apos;s Holiday Season"! From lively Thanksgiving parades to festive window displays, here are 20 joyful signs that it&apos;s holidays season in Chicago. This city wholeheartedly embraces the holidays ... and gives them a big warm hug. 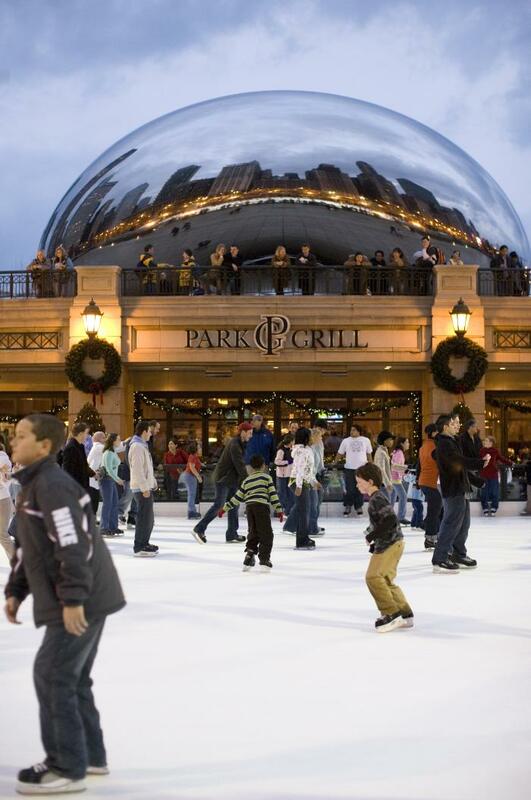 Which is why there are 20 — yes 20 — Chicago holiday traditions highlighted here. Come experience each and every one of them. Dating to the 1870s, Macy’s was the first store to feature holiday windows created for the pure joy of the season. Crafted with incredible talent by uber creative designers, welders, carpenters, costumers, visual artists and engineers, these windows fill kids with awe and wonder, and get the grown-ups all excited about the fast-approaching holiday season. 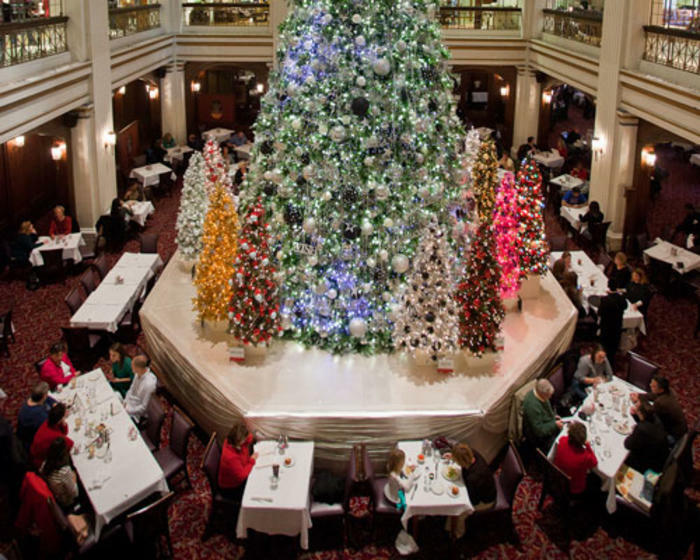 Every year, a richly decorated tree adorns Macy’s historic Walnut Room, where families have gathered to enjoy the holiday season for generations. Averaging approximately 45-feet in height, the tree is adorned with in excess of 2,000 ornaments and 6,600 twinkling lights. Macy’s windows and monumental Christmas tree are only part of the planned festivities. Read all about Macy&apos;s holiday events here. As is tradition, the Museum of Science & Industry&apos;s 45-foot Grand Tree takes center stage in the Rotunda, decked out in 30,000 lights. Surrounding it are more than 50 smaller trees beautifully decorated by volunteers from Chicago communities to represent their various cultures and holiday traditions. The occasional falling of "snow" adds to the fun. The McCormick Tribune Ice Skating Rink is a phenomenal place to pirouette on the ice. Standing in the shadow of magnificent skyscrapers, Cloud Gate (aka The Bean) and all the beauty of Millennium Park, it’s quite a surreal, exhilarating experience to skate there. Skating is free and open to the public, with skate rentals available for $12 Monday-Thursday and $14 Friday-Sunday and holidays. Hours are Mondays–Thursdays noon–8pm, Fridays noon–10pm (ice skating lesson at 11am), Saturdays & Sundays 10am–9pm (ice skating lesson at 9am), with special hours on holidays. Maggie Daley Park&apos;s Skating Ribbon is unique to say the least. Rather than a rink, it’s a snake-like path that meanders through the park’s fantastical playground landscapes, with views of the lake to the east, and Millennium Park to the west. Skating is free, with skate rentals available for $12 Monday – Thursday and $14 Friday – Sunday and holidays. Hours are Monday – Thursday: noon – 8:00 pm, Friday: noon – 10:00 pm, Saturday: 10:00 am – 10:00 pm, Sunday: 10:00 am – 8:00 pm, with special hours on holidays. 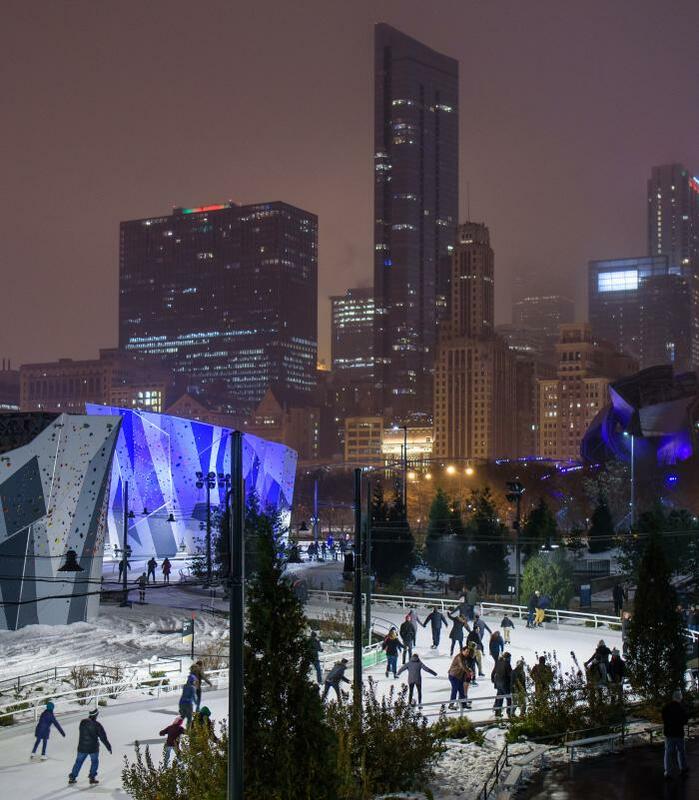 The official City of Chicago kick off to the holiday season takes place at the Millennium Park Campus in mid-November, with the lighting of a 60-foot-plus Christmas tree. This free event features star performances – think appearances by the cast of Goodman Theatre’s A Christmas Carol — with festivities getting started at 6pm. Tip: this is stop #1 for your holiday selfies, with the glittering lights and city sights creating the perfect festive backdrop. 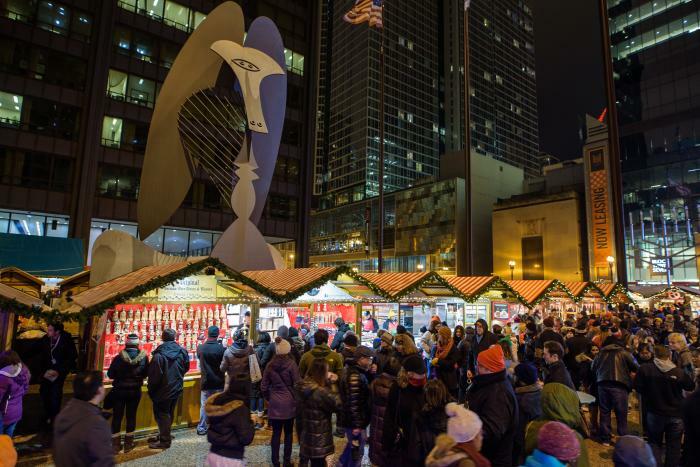 Inspired by the Christkindlesmarkt in Nuremberg, Germany, which began in 1545, the Christkindlmarket Chicago brings a cherished German and European tradition to the city. Filled with candy cane striped huts, the outdoor market features unique shopping experiences, typical German food and drinks, as well as diverse holiday entertainment. Shop for hand-made holiday ornaments, nutcrackers, cuckoo-clocks, toys, jewelry, artisanal chocolates and so much more. Then gorge on specialty sausages, potato pancakes, schnitzel, Stollen, and pretzels. Don&apos;t leave without a cup of Glühwein (hot spiced wine), which is served in a collectible souvenir mug. You&apos;ll also hear live entertainment, including a roaming Alpine Brass band. Admission to the market is always free at downtown Daley Plaza. 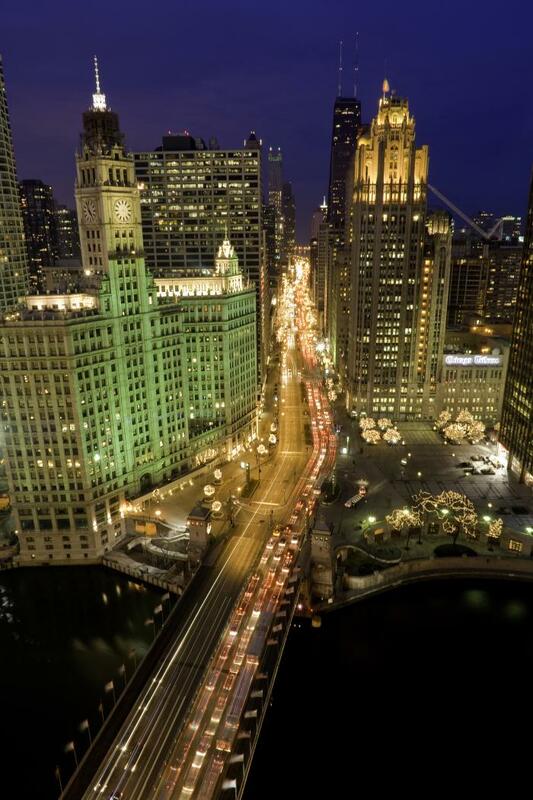 After a day filled with family-friendly activities, a nighttime parade turns the stretch of Michigan Avenue between Wacker Drive and Oak Street into Chicago&apos;s brightest shopping district. The Mag Mile&apos;s hotels and shops light up in a glorious display of more than one million lights, adorning the boulevard&apos;s 250 trees. The accompanying procession is a show-stopper led by Mickey Mouse and Minnie Mouse from Walt Disney World Resort, followed by festive floats and a cast of characters. A fireworks display over the majestic Chicago River keeps the festivities going well into the evening. Originating in the 1930s, when it was called the Christmas Caravan, the Uncle Dan’s Thanksgiving Parade was created to help lift the spirits of those suffering through the Great Depression. It continues to raise spirits to this day. 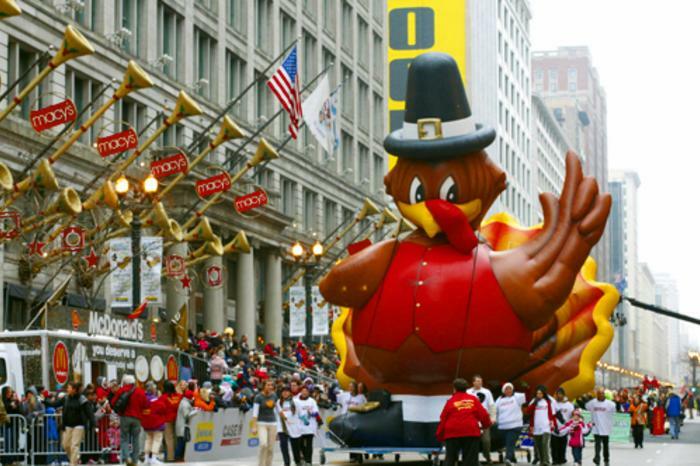 From 8 - 11 am on November 22, watch the colorful procession make its way up State Street from Congress Parkway to Randolph Street, and gaze upward as the skyline fills with giant helium balloons, led by Teddy the Turkey, the parade&apos;s official mascot. The parade is a free, all-ages event. 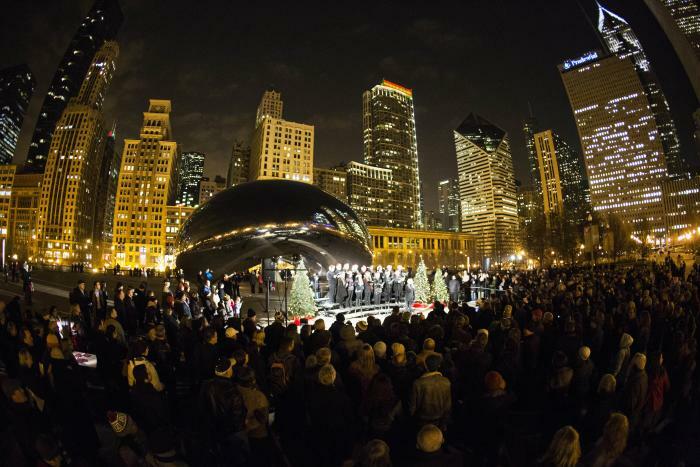 Bundle up and run through a couple of doe, rey, mes before you belt out some holiday classics at caroling events around the bean. They’re part concert, part sing-along. with local Chicago choral groups leading hundreds of visitors in song. Caroling takes place from 6-7pm and is free. Check out the schedule here. The wreathing of the lions at the Art Institute of Chicago has been a holiday tradition for more than a quarter of a century. This free event starts on the historic steps of the Museum’s Michigan Avenue entry and features complimentary hot chocolate and live performances. The outdoor ceremony itself takes place at 10:30am, after which you can head into the Museum and stop by the Ryan Learning Center for some art-making fun. The Chicago Botanic Garden definitely knows how to put the "wonder" in "wonderland." Wonderland Express features toy trains that wind their way through plantings, onto overhead bridges, and past more than 80 miniature recreations of Chicago&apos;s most famous buildings and landmarks, from The Bean (Cloud Gate) to Wrigley Field. These unbelievably detailed replicas are handcrafted by "railroad garden guru" Paul Busse and his team at Applied Imagination, and are constructed using natural materials such as gourds, pine cones, bark, acorns, pods, seeds, grains, grasses — and other "bits of nature." Best of all? Indoor snow! Did you gorge on a little too much pumpkin pie? This post-Thanksgiving race for charity takes you through gorgeous Grant Park, with amazing views of the city skyline. There’s also a free Kids Dash, and everyone gets a cinnamon roll at the finish line. Proceeds go to Playworks, which is committed to helping low-income schools and the students they serve. Registration fees range from $50-$60. 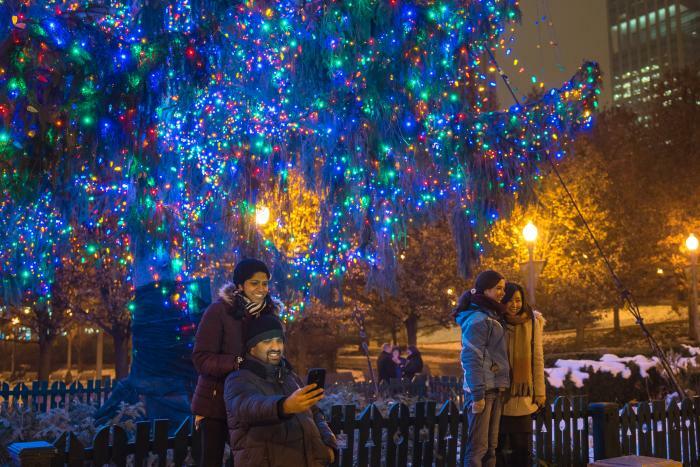 More than half a million holiday revelers flock to Lincoln Park Zoo for its annual family-oriented holiday celebration, featuring luminous displays and holiday-season activities throughout zoo grounds. Highlights include musical light shows, live ice sculpture demos, carousel, train and Ferris wheel rides, holiday drinks and snacks, photos with Santa, holiday shopping, and more! Admission is free. 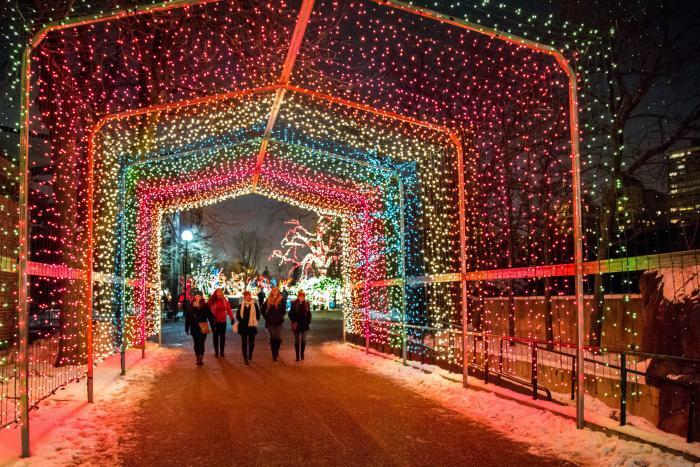 Set against the backdrop of 2.5 million glittering lights (thanks to Zoolights), the holiday season at Lincoln Park Zoo kicks off with an amazing collection of local artisans, shops, and boutiques. It’s the perfect evening to do something festive, catch up with friends, and get some holiday shopping done. The market is open from 6:30-10 p.m. Admission is $10 (kids 12 months and under are admitted free). 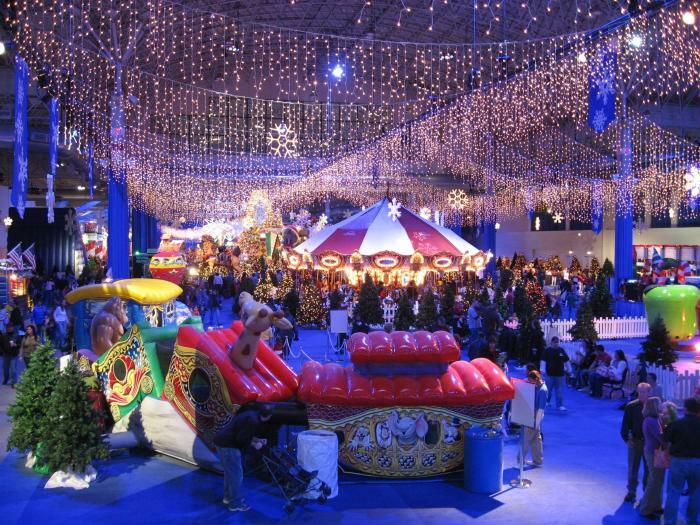 The 18th annual Winter Wonderfest is Chicago&apos;s coolest, biggest and best indoor playground. There&apos;s an ice skating rink, Ferris wheel, carousel and huge inflatable slides spread across 170,000 square feet — and the decor is just as spectacular as the views. Massive snowflakes and thousands of icicle lights dangle from the ceiling, over 400 evergreens in all their trimmings add more holiday glitz, and giant candy canes, gingerbread houses and snowmen border the rides. Journey to Chicago&apos;s 1893 World&apos;s Fair where magic is on the horizon for young Marie and her mother, a sculptress creating the iconic Statue of the Republic. As they prepare for their annual holiday celebration, a visit from the charming but mysterious Great Impresario sets off a Christmas Eve dream of whirlwind romance and adventure. Chicagoland&apos;s largest lights festival features more than one million twinkling lights throughout the sprawling 216-acre suburban zoo. Select animal exhibits will remain open into the evening, as will zoo restaurants and gift shops. 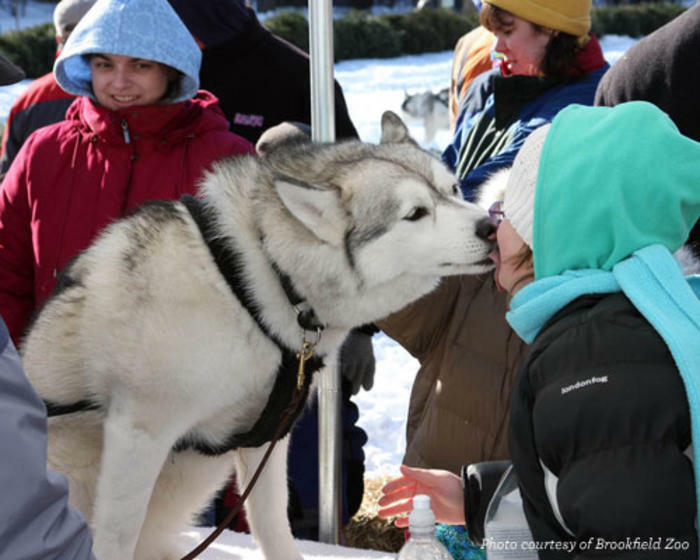 Enjoy a full schedule of live entertainment: singing to the animals, professional ice-carving demonstrations, visits with Santa and Mrs. Claus, magic shows, a friendly 38-foot talking tree, costumed characters, and a model train display. Holiday Magic takes place Saturdays and Sundays, December 1-2, 8-9, 15-16, 22-23, and Wednesday-Monday, 26-31. There&apos;s nothing more thrilling than catching the brightly lit &apos;L&apos; Holiday Train, whizzing down the tracks! On select weekdays and over the weekends before Christmas, Santa dashes through the city in his sleigh (atop a flatbed train car) pulled by decorated, peppermint-scented passenger coaches. At certain stops, jolly train conductors dressed in elf costumes take photos of kids with Santa and hand out candy canes. 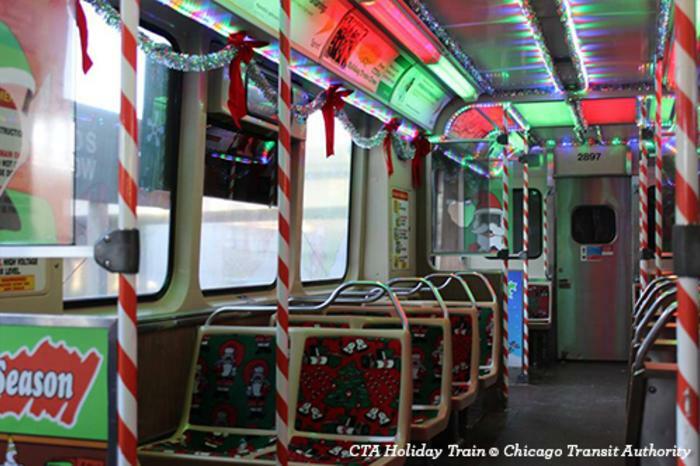 Holiday music plays throughout the six cars, which are tricked out with holiday-patterned upholstery and garland-wrapped poles. The train generally operates from about 1pm to 8pm on weekends and 3pm to 7pm on select weekdays (schedules for each rail line will vary). Check the CTA website for an updated schedule.